Description: A Virtual Horse Racing Game where you play a horse racing game for real cash, Interact with other members and learn how awesome this game is, watch all the races in a live 3D Race Viewer. 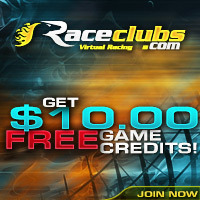 Raceclubs.com delivers thrilling entertainment and an opportunity to put your training skills to the test to win big stakes! Access to a vibrant COMMUNITY. VIEWING of races in 3D. DAILY Races to compete against other members. Opportunity to race for BIG SPONSORED STAKES. Great interactive FUN. Independence: RaceClubs.com has no vested interest in the outcome of races. The system has been reviewed by PriceWaterhouseCoopers. Security: Sensitive data is encrypted and data transfer is protected using SSL technology. Transactions: RaceClubs.com offers 7 of the most reliable payment and cash-in options including a variety of credit and debit cards through a secure interface.